I am actually starting this post on the plane on the way home from Nashville. I am looking forward to getting home so I can spend a few days with Hillary and Will before we head back to Nashville for game 6. It is a pretty hectic time right now around the Skahan household as Hillary could go into labor any day/week now. We are excited to have another baby boy during the playoff season as my son Will was also born during the playoffs back in 2006. As for my time in Nashville, It was a nice 5 days spent in the Music city. What is most important is that we split our two games and evened up the series at two apiece. I also had an opportunity to visit with the strength and conditioning staff of the Tennessee Titans. There has been some outstanding content posted since my last update. The forum also has some good discussions including a discussion on favorite books. I really like these discussions as I will sometimes pick up a book on someone’s recommendation. Scap Exercises by Mike Potenza. Mike gives some interesting scapula stability exercises both on a stability ball and the wall. We are always working our lower traps and other scapula stabilizers with our players. These will be a good addition. Anterior Core Variations by Darryl Nelson. Darryl shows video of some anterior core variations that he uses. What I like about Darryl’s videos is that they almost always show a group of hockey players training. 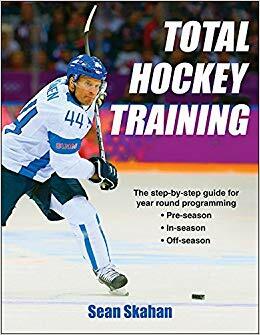 It definitely shows that Darryl is not just writing about training hockey players, but actually training them. Off-Season Weight Gain: Eat that Elephant by Kevin Neeld. Kevin gives practical, real-world, common sense advice on proper weight gain for hockey players during the off-season. Great stuff as usual from Kevin. Youth In- Season Introductory Program by myself. This is an addition to our Youth Hockey Program section. This program was done with a midget AAA program that I worked with a few seasons ago. I would probably still use most of the exercises and progressions today. Identifying Strength Qualities For Your Training Program by Mike Potenza. In this article, Mike talks about strength qualities and how them into a program for any player at any current level. This is a really good in-depth article that shows how smart Mike is. Grier Persevered to Carve Out Lengthy NHL Career submitted by Mike Potenza. Mike posted this up as he thought it would be a good addition to the site. This is a great article that talks about a Mike Grier who is currently playing with the Buffalo Sabres. The article talks about Mike’s career and how important Mike Boyle’s work with him was. It still is actually as Mike continues to train with Mike Boyle each off-season. Changes to the In-Season Program by myself. This season, I made some small changes to our in-season program. In this article, I talk about what those changes were. I think they were beneficial.